Still, China isn’t exactly an ideal market for American movie companies. The state only allows 34 foreign films to be imported annually, though officials claim that number will increase in coming years. China also bans screenings of foreign films during holidays such as the Lunar New Year, which played a major role in the country’s huge box office haul in February. For a while American studios performed well despite these restrictions: foreign films accounted for more than half of box office sales in 2012. 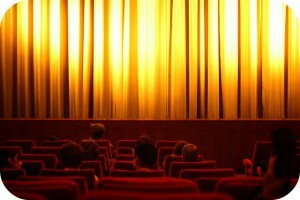 As China’s film industry became more sophisticated, however, that share started to drop. Last year foreign films accounted for just 38 percent of China’s $6.7 billion total box office. So far 2016 is on track to be an even better year for the Chinese movie industry. A smash hit called The Mermaid has earned more than $500 million at the box office to become the country’s top grossing film of all time. Another movie, Ip Man 3 (featuring Mike Tyson as the villain), made an impressive $72 million on its opening weekend. But according to Chinese regulators, that figure may not be entirely truthful. Authorities say that Ip Man 3’s distributor may have exaggerated sales figures by purchasing loads of tickets to the film but never using them. Companies sometimes orchestrate these “ghost screenings” in order to make a movie appear more popular than it actually is. While this often succeeds in increasing buzz about the film, Chinese media watchers are stepping up their efforts to curb this deceptive practice. Will China’s quota on foreign films prevent American movie studios from expanding operations in the Asian nation? Why is it unethical for movie companies to inflate sales by buying tickets in bulk? Source: Laurie Burkitt, “Chinese Theaters Face Scrutiny Over ‘Ghost Screenings,’” March 9, 2016. Photo by Blondinrikard Fröberg.